Volumes between 0.20 litres and 100.00 litres can be selected in increments of 0.01 litres. The pump is self-priming and will provide a constant flow-rate, typically around 3L/min for water depending on the conditions such as the filter, tubing and the height differential between the pump and fluid outlet. (1) Suitable tube materials include: polyethylene, nylon, polyurethane, brass, copper, mild steel. For soft or thin-walled tubing, tube inserts should be used. 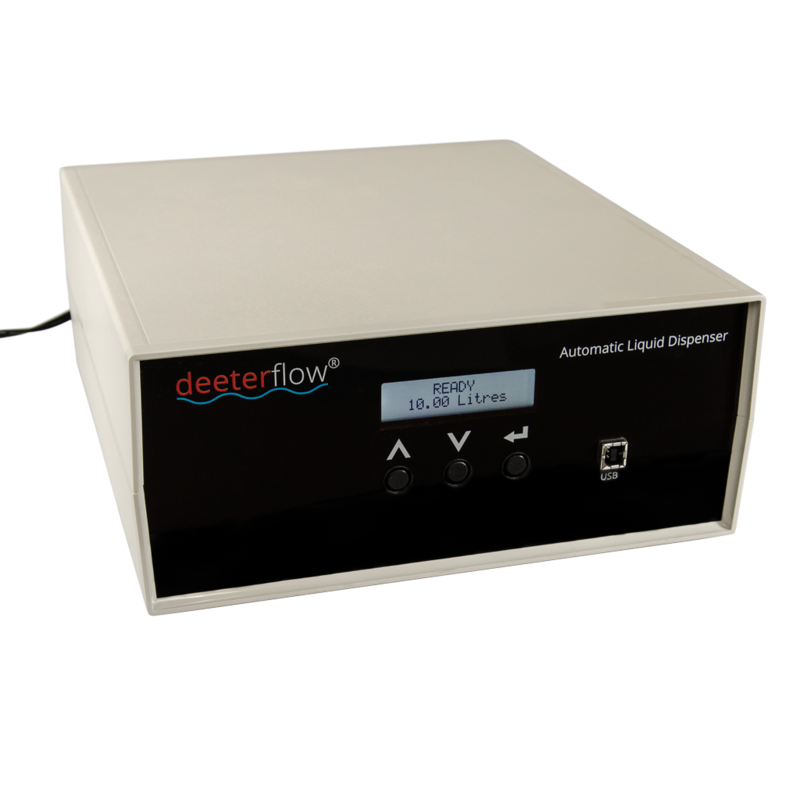 (2) Typical flow rate with 12V supply, clear filter, minimal external tube restrictions and minimal height differential between outlet of fluid and pump.